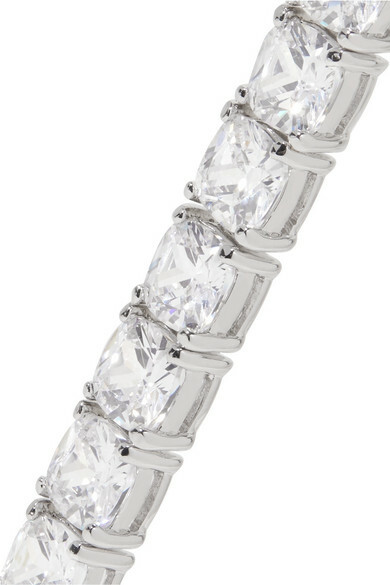 Jewelry trends may come and go, but tennis bracelets are always in style. 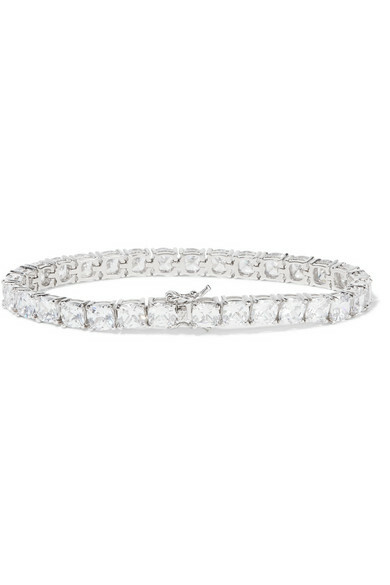 Kenneth Jay Lane's silver-tone version is and encrusted with more than 30 glimmering cubic zirconia. It's lightweight too, making it a comfortable choice for every day. Shown here with: Reformation Skirt, De La Vali Blouse, Charlotte Chesnais Rings, Sophie Buhai Earrings.